Radioactive sea spray is dosing communities, February 17, 2019 by beyondnuclearinternational Governments want to cover it up By Tim Deere-Jones. It is clear from the available empirical data that coastal populations impacted by prevailing onshore winds and living next to sea areas contaminated with liquid radioactive effluents from nuclear sites, are annually exposed to dietary and inhalation doses of man-made marine radioactivity. Sellafield-derived, sea-discharged cesium had been found in pasture grass up to 10 miles inland of the Ceredigion coast. Clearly, this contributes to human dietary doses via the dairy and beef food chain. The research also implies the inevitability of further dietary doses via arable and horticultural crops. Given that airborne radioactivity is driven at least 10 miles inland, it should be assumed that coastal populations are exposed, on a repeated annual basis, to inhalation doses. Nuclear waste site selection process triggers mental health concerns, business boycotts and division, FOI documents reveal, ABC North and West By Gary-Jon Lysaght 13 Feb 19, (FOI documents are attached on the original) Freedom of Information (FOI) documents reveal the Federal Government has been aware of potential mental health issues, from as early as 2017, caused by the search for a site to store the nation’s nuclear waste.The Federal Government is currently considering two sites at Kimba and one near Hawker for a facility that would permanently store low-level waste and temporarily store medium-level waste. Kimba, a small town on South Australia’s Eyre Peninsula, has been divided on whether to support or oppose the facility. Some residents believe the facility could help bring much-needed business to the rural town, while others suggest it could damage the region’s agricultural reputation. “Many of the opposed group have raised the issue of mental health in submissions and direct discussions,” the FOI documents, written in 2017, said. They believe mental health issues are arising in Kimba due to the stress of being in this process. Centre Alliance Senator Rex Patrick obtained the Freedom of Information documents and hoped the concerns were a catalyst for change. “In my view, that creates a very strong obligation for the Government to act,” he said. 13 Feb 19, Last month’s transposition of European Council Directive 2013/59/EURATOM into Irish law means that HIQA is now responsible for regulating medical exposure to ionising radiation. The new law covers dental x-rays, hospital CT scans, mammograms and radiotherapy received as part of cancer treatment. A medical exposure to ionising radiation is when a patient receives ionising radiation as part of their diagnosis or treatment. The transposition into Irish law confers new statutory functions on HIQA under the EU’s (Basic Safety Standards for Protection against Dangers Arising from Medical Exposure to Ionising Radiation) Regulations 2018 SI No. 256. HIQA’s John Tuffy said: “Generally the risks associated with receiving medical exposure to ionising radiation can be considered very low. “However, as procedures that involve ionising radiation carry varying levels of risk dependent on the dose given, it is important that all radiation doses are kept as low as practically possible. Last month’s transposition of European Council Directive 2013/59/EURATOM into Irish law means that HIQA is now responsible for regulating medical exposure to ionising radiation. What prevents us from thinking ‘meaningfully’ about climate change. Such funding is crucial to continue tackling the devastating disease. However, missing from the State of the Union—and most other conversations about tackling cancer—is a focus on prevention, specifically the need to research, understand and communicate the role environmental exposures play in cancer risk. Yet, other environmental factors like exposures to chemicals in the environment, including endocrine disruptors, have received little attention. While some NIH-funded programs like the Breast Cancer and Environment Research Program have worked to identify chemicals in the environment that promote cancer, funding for cancer prevention initiatives has stagnated. It is great that cancer research was raised in the President’s State of the Union speech, and that the difficulties associated with caring for a family member with cancer was mentioned in Stacey Abrams’ rebuttal. The deployment of 5G constitutes an experiment on humanity and the environment that is defined as a crime under international law,” the petition states. The US rollout of the new network has already begun in cities like Houston, Indianapolis, Los Angeles, and Sacramento. n addition, Firstenberg filed a lawsuit seeking $1.43 million in damages from his neighbor for damaging his health by using her iPhone and WiFi connection. In a letter, Dr Martin Pall, a biochemistry professor at the Washington State University, claimed there were severe biological and health effects, including increased risk of cancer via DNA mutations, due to exposure to 5G networks, while also claiming that the FCC is a “captured agency”that is subject to the will of the very industry it is supposed to regulate. Radiation for dummies, Space Daily, by Staff Writers, Paris (ESA) Jan 28, 2019 Meet Helga and Zohar, the dummies destined for a pioneering lunar flyby to help protect space travelers from cosmic rays and energetic solar storms. Fitted with more than 5600 sensors, the pair will measure the amount of radiation astronauts could be exposed to in future missions with unprecedented precision. The flight test will take place during NASA’s Exploration Mission-1, an uncrewed trip to the vicinity of the Moon and back to Earth. Radiation poses a major health risk to people in space. Astronauts on the International Space Station receive doses 250 higher than on Earth. Away from Earth’s magnetic field and into interplanetary space, the impact on the human body could be much higher – up to 700 times more. 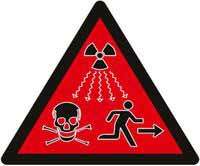 Two sources of radiation are of concern: galactic cosmic radiation and virulent solar particle events. This radiation could increase the crew’s risk of cancer and become a limiting factor in missions to the Moon and Mars. The two phantoms simulate adult female torsos. Both Helga and Zohar are made up of 38 slices of tissue-equivalent plastics that mimic the varying density of bones, soft tissue and lungs. Similar dummies are used in hospitals to quantify the right dose of radiation for cancer therapies. “We chose female phantoms because the number of women astronauts is increasing, and also because the female body is typically more vulnerable to radiation,” explains Thomas Berger, lead scientist of the Matroshka AstroRad Radiation Experiment (MARE) at the German Aerospace Center, DLR. Sensors have been fitted in the most radiation-sensitive areas of the body – lungs, stomach, uterus and bone marrow. While thousands of passive dosimeters will record the radiation dose from launch until return to Earth, a set of 16 active detectors will map the radiation dose both on the phantoms’ skin and internal organs during flight. Brant Ulsh, skeptic on radiation limits, to head EPA radiation panel, Japan Times, 2 Feb 19, WASHINGTON – The Environmental Protection Agency has appointed a scientist who argues for easing regulations on lower-level radiation exposures to lead the agency’s radiation advisory committee. Acting EPA head Andrew Wheeler on Thursday announced the appointment of Brant Ulsh, a health physicist, as one of the EPA’s science advisers and the panel’s chairman. Ulsh has been a leading critic of the EPA’s decades-old position that exposure to any amount of ionizing radiation is a cancer risk. In a paper he co-wrote last year, Ulsh and a colleague argued that the position was based on outdated scientific information and forced the “unnecessary burdens of costly clean-ups” on facilities working with radiation. The EPA under President Donald Trump has targeted a range of environmental protections, in line with Trump’s arguments that overly strict environmental rules have hurt U.S. businesses. Environmental and public health advocates say the rollbacks threaten the health and safety of Americans. Some environmental groups and scientists have criticized what they say is the administration’s openness to an outlier position on radiation risks. EPA spokesman John Konkus declined comment Friday, referring a reporter to a news release announcing the appointment. WP, By Kristine Phillips, 2 May 2018, At 8:15 a.m. on Aug. 6, 1945, the United States dropped the first combat atomic bomb, “Little Boy.” It exploded 43 seconds later, creating a massive fireball that incinerated much of Hiroshima. Nearly 350,000 people were in the Japanese city that day, and most were civilians. Twenty-seven years later, a scientist from across the Pacific Ocean arrived in Hiroshima with what was considered then a novel idea. Brazilian physicist Sérgio Mascarenhas, at the time a visiting professor at Harvard University, said that exposure to radiation makes human bone magnetic, and that “magnetic memory” existed in the bones of atomic bombing victims years after the explosion. Scientists could measure radiation exposure by examining the bones of victims, Mascarenhas proposed. With the help of two Japanese scientists in Hiroshima, Mascarenhas obtained several samples of victims’ bones, including a jawbone that belonged to a person who was less than a mile away from Ground Zero. They were able to estimate the amount of radiation present in the bones, according to a paper Mascarenhas presented to the American Physical Society meeting in April 1973 in Washington, but specific calculations could not be achieved with 1970s technology. Mascarenhas brought the samples home to Brazil, where they sat in storage for the next four decades — until two other Brazilian scientists continued his research using more advanced technology. The result was astonishing. To place this in context: A cancer patient receiving radiotherapy treatment is exposed to about 2 to 3 grays on a very localized part of the body where a tumor is located. Whole-body radiation with about 5 grays — nearly half of the amount calculated from the jawbone — is enough to kill a person, Oswaldo Baffa, one of the researchers and a professor at the University of São Paulo, told The Washington Post Tuesday. EXCLUSIVE: Stricken families say they want the Ministry of Defence to recognise the condition as the British Legion says it believes 30,000 may be suffering, By Grace Macaskill, Mirror UK 27 JAN 2019 British forces veterans suffering Gulf War Syndrome may have given it to their children. New medical research has revealed troops who served in Iraq are more likely to have damage to DNA that could be passed on during reproduction. Experts in the US – where the illness is recognised – claim to have found the first proof of a biological link to debilitating symptoms suffered by servicemen involved in the 1990-1991 conflict. Almost 75 per cent of the 53,000 UK soldiers there were given an anthrax vaccine. Many were also exposed to depleted uranium in some weapons. Thousands reported a raft of disorders on their return home, including extreme fatigue, dizziness, strange rashes, nerve pain and memory loss – and the British Legion believes 30,000 may be suffering from the syndrome. And more and more affected families are reporting that their children have developed terrifying symptoms of conditions that can be passed on genetically . Now they are demanding the Ministry of Defence acts on the latest research and recognises Gulf War Syndrome. An ex-Government advisor on Gulf War illnesses, Prof Malcolm Hooper, backed the US findings. “Our soldiers were poisoned,” he said. Their immune systems suffered a massive assault, along with the endocrine system which controls reproduction. The American study, funded by the US Veterans Affairs department, will step up the pressure. Dr Michael Falvo, lead researcher at the War Related Illness and Injury Study Center, said the findings were the “first direct biological evidence” Gulf War illness causes harm to the body. “If DNA that is damaged or mutated comes from the sperm or eggs then it is possible for it to be passed on to children,” he said. Roger, 51 – an ex-lance corporal with the Royal Army Ordnance Corps who developed chronic fatigue shortly after the conflict – said he welcomed the US findings and wants research done to force the Government to recognise the syndrome. “Every day I have extreme fatigue and unexplained aches and pains,” said Roger, of Doncaster, who worked in ammo dumps. Emma, 26, also suffers from chronic fatigue and struggles in her retail job. Her mum Sue, 51, said: “She was conceived shortly after the war. She was always tired as she grew up. We took her to a paediatrician at 15. Roger added: “The Americans have recognised Gulf War illness so why can’t the MoD? I don’t think they will because of what it might cost them in payouts.”……. Charities and ex- Army top brass are joining hundreds of families to demand a probe into the health of the 30,000 troops thought to be suffering. A King’s College London study in 1999 found Gulf troops two to three times more likely to report 53 different symptoms compared to soldiers sent to Bosnia. But the MoD has never officially recognised the condition. Gavin Williamson has been accused of betrayal just six months after promising campaigners he’d help, By Susie Boniface,19 JAN 2019, The Tories have refused to order a study into genetic ­damage suffered by children of servicemen in the British nuclear tests. Defence Secretary Gavin ­Wil­­liamson’s decision came days after his department finally admitted it never warned the men used in Cold War radiation experiments that their families might have been harmed. Children of the 1950s veterans report 10 times the normal rate of birth defects. But six months after he met campaigners and ­promised to help, Williamson has been accused of betrayal. Shirley Denson, 84, who told the minister her ­hus­­band Eric was ordered to fly through the mushroom cloud of a massive H-bomb, said: “I’m disgusted the man who seemed to lis­­ten so carefully has let us down so badly. Eric killed himself after years of crippling headaches, and Shirley later uncovered proof he had been exposed to 165 years’ worth of background radiation to his brain in just 6 minutes. Campaigners and cross-party MPs had asked for research into all the children’s health problems, but instead Williamson has spent a six-figure sum on repeating an old study into the veterans’ cancer rates. It is expected to take a year to report back, and in the meantime veterans, who are mostly in their 80s, are dying at the rate of one a week. Labour deputy leader Tom Watson, who is backing the vets’ campaign for justice, said: “The earlier study failed to note the miscarriages, ill health, infant mortality and childhood illness which so many veteran families experienced. As a result it showed few problems, when the veterans’ experience was very different. The announcement followed an admission in Parliament the MoD had never warned the men that exposure to radiation might damage their DNA. Junior minister Tobias Ellwood confessed after a search of the archives that he was “unable to locate” any proof servicemen were made aware of the dangers. Yet there are documents showing those in charge knew of the risks. A 1953 memo stated chiefs of staff wanted to “discover the detailed effect of various types of explosion on equipment, stores and men, with and without various types of protection”. Another states Downing Street considered how “to limit the genetic hazards”. When he met campaigners Mr Williamson also promised them a speedy review into a medal for the veterans’ exceptional service. But 6 months later, a medal review committee has yet to be formed and neither the MoD nor Cabinet Office, which is in charge of honours, can give a timescale for when it will meet to hear the veterans’ evidence. Just before Christmas, thousands of bomb test documents were removed from the National Archives without explanation. Some had been scheduled for immediate release under Freedom of Information requests by campaigners.